Empty stores and shopping centers are increasingly being converted into warehouse and e-commerce distribution centers. 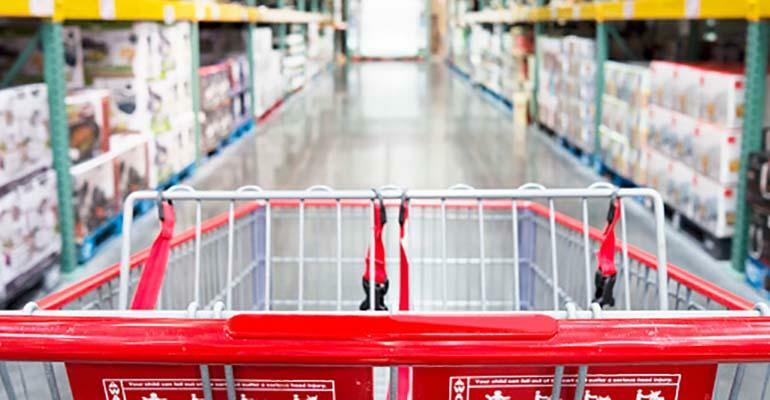 One recent study, reported in Material Handling & Logistics (Feb. 4, 2019), found a surprisingly wide variety of retail-to-warehouse conversions. The projects include the total demolition of obsolete malls to be rebuilt as warehouses in Baltimore, Atlanta, Chicago, and Detroit. Other retail structures that were left standing after the retailers closed their doors also have been repurposed for industrial uses, including a former Toys ‘R’ Us in Milwaukee now occupied by a transmission manufacturer, and Sam’s Club’s conversions of 12 of its stores to distribution centers. Freestanding big-box stores closer to population centers than they are to warehouse districts are the primary candidates for conversion. These retail structures also typically offer dock doors, ample parking and clear heights compatible with industrial usage. Major retailers who are choosing to expand their omni-channel platforms are transforming underperforming retail properties into e-commerce-driven logistics spaces. Larger-scale vacant retail properties, such as malls and community centers, are more often purchased by industrial developers and then demolished to be replaced by new industrial construction that is designed to meet the physical requirements of prospective space users. Factors favoring the targeting of retail space for conversion include the prime locations of many retail centers, which often sit at busy intersections or highway interchanges. Another advantage is site access. Standalone big-box stores in particular offer backend docks and easy access for trucks. They also have the needed high ceilings. What are the advantages and disadvantages of converting malls to warehouses? What is happening to other malls as they lose retail tenants? Great and interesting article. Thank you. Physical stores are closing every day and space gets free in investing locations. Some will transfer to WH as you described, out of these I believe the next steps will be, adding smaller and smaller WH (previously stores) closer to the final customer.